CONNEX SUP - Small Accessory Kit - FREE SHIPPING! CONNEX SUP | 3-piece Interchangeable Accessory Mounting Kit | FREE SHIPPING! 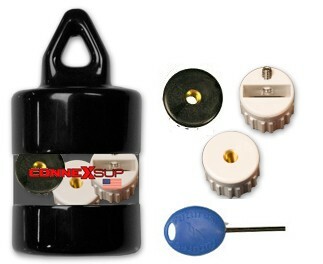 The CONNEX SUP 3-piece Interchangeable Accessory Mounting Kit allows you to easily switch out the accessory plugs on your SUP ATX boards that have a ConnexSUP plug so that you can securely attach just about any accessory item that you can think of such as a GoPro camera, waterproof audio system, waterproof storage box, etc. Just about any RAM mount accessory will fit! Free Shipping within Continental US! 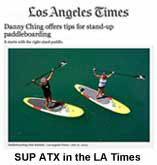 SUP ATX Paddleboard | Model: Scout | Length: 11'6" | Color: Mint Blue | FREE SHIPPING! 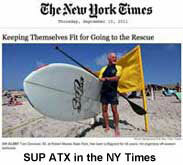 SUP ATX Paddleboard | Model: Adventure-XL | Length: 12' | Color: Blue | FREE SHIPPING! 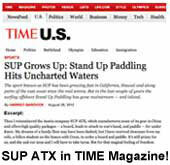 SUP ATX Paddleboard | Model: Adventure | Length: 11'6 | Color: Blue | FREE SHIPPING! 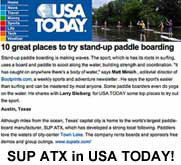 SUP ATX Paddleboard | Model: Journey | Length: 10'6" | Color: Blue with Red | FREE SHIPPING!